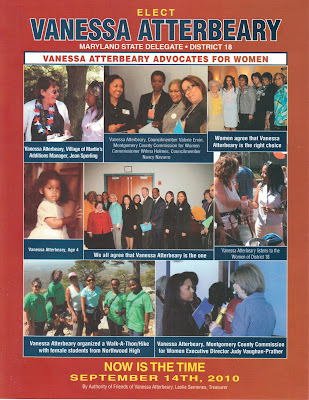 Remember the sleazy “Ehrlich Steele Democrats” flier that was used in 2006 to mislead African American voters in Prince Georges County into thinking that the two Republican candidates had both been endorsed by Democrats Wayne Curry, Kweisi Mfume, and Jack Johnson? 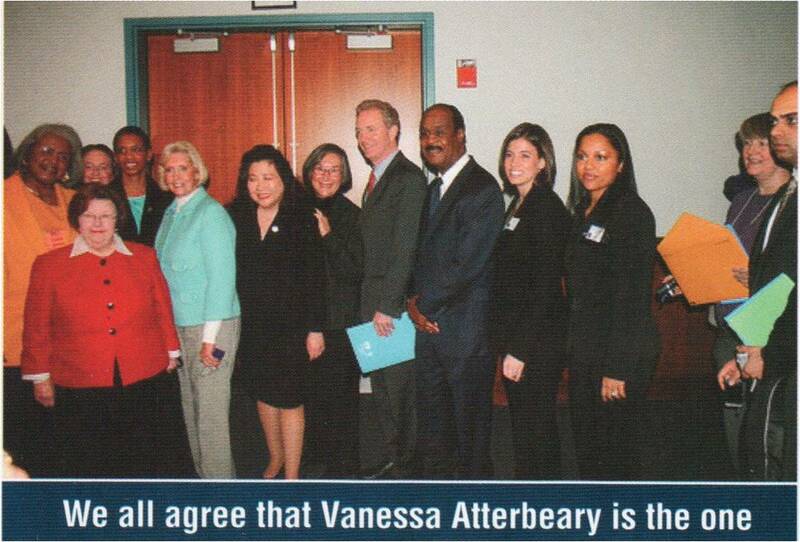 So have these leading Democrats endorsed Atterbeary, as her mailing implies? Hardly. Van Hollen and Leggett have endorsed the District 18 Slate of Al Carr, Ana Sol Gutierrez, and Jeff Waldstreicher. 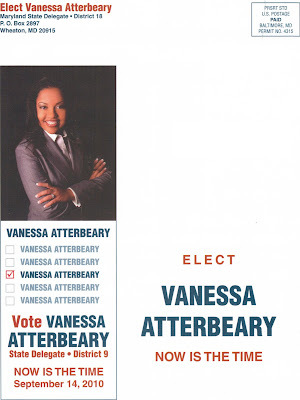 So has Valerie Ervin, whose photo also appears on Atterbeary’s flier. I happen to be paying sufficient attention to this campaign to know this. But I suspect that most voters receiving Atterbeary’s flier will conclude that the officials pictured in it have endorsed her. 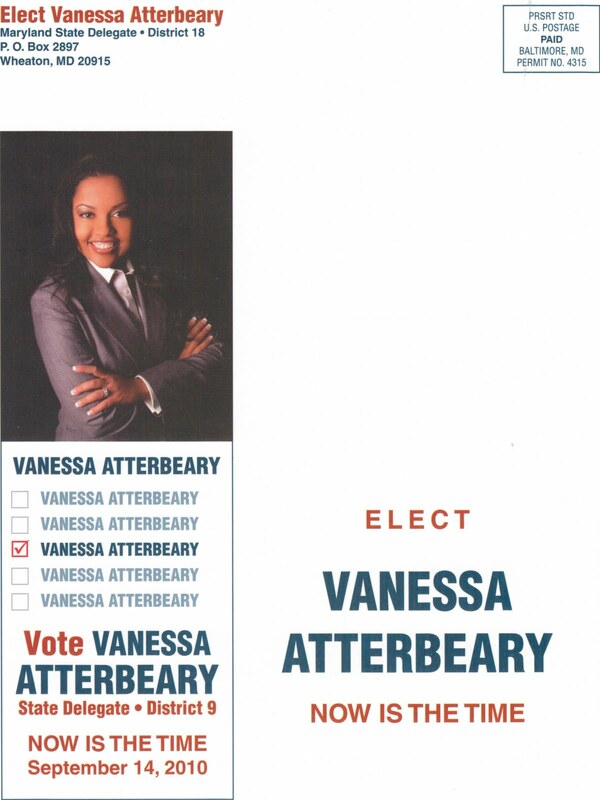 As a District 18 voter, I am conducting an extended job interview for who is going to represent me in Annapolis for the next four years. Endorsements from people and organizations I trust are important factors in my research. So when one of the job applicants seems to be trying to mislead me, I ask myself: What kind of person is this? Can I trust anything she says? And what must she think of me to send me something like this? Disclosure: Paul Gordon hosted a fundraiser for the District 18 Democratic Team earlier this summer. Baseball Bat Returns in District 19! King Campaign Launches Anti-Saqib Blog! 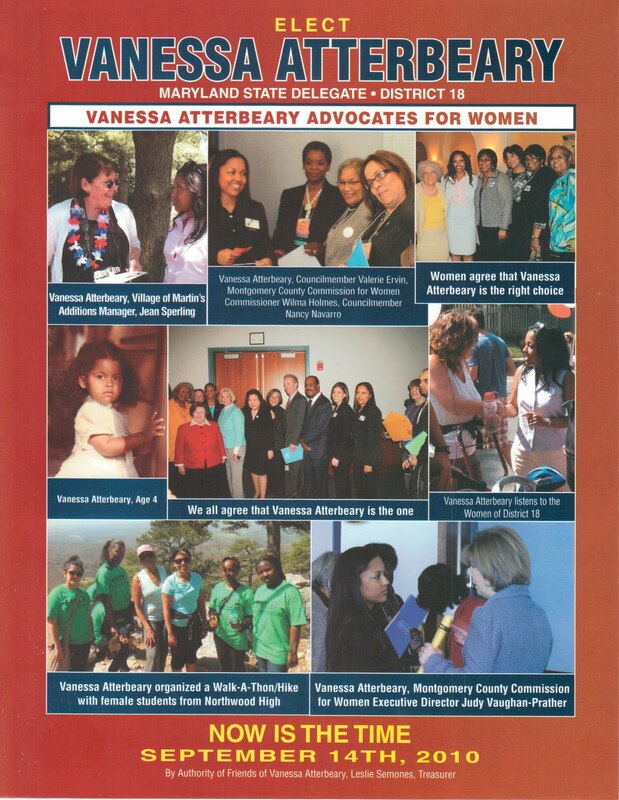 Where is the Post on MoCo’s Primaries?